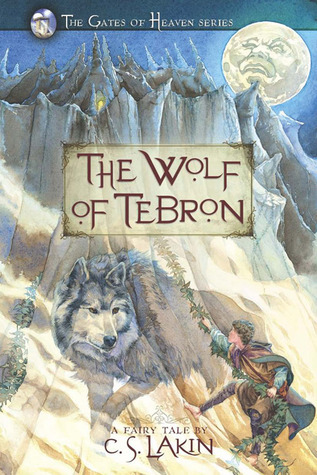 The Wolf of Tebron is a Christian fable delivered in classic, fantasy style. Yes, it’s allegory, and yes, it is based on different stories of the Bible. And if you find it difficult to digest these type of message stories, then this novel is not for you. However, if you adore stories where every paragraph can be dissected for its hidden meaning (The author actually cites G.K. Chesterton and C.S. Lewis throughout the book) then this brilliantly written fairy tale will be one that you enjoy immensely. The tale itself centers on a young blacksmith—Joran—who lives a peaceful, uncomplicated life in his forest village, happy to come home each night to his beautiful wife. His whole existence shatters in an instance, however, when he returns home a little earlier than usual one day, walking past his neighbor’s farm and sees his wife in the farmer’s loving embrace. His heart broken and his world destroyed, Joran confronts his wife later about what he has seen. When she refuses to admit the truth. Joran sends Charris away in a rage. Soon, everyone in Joran’s small village has learned that he and Charris are no longer living together and begin to suspect that something is amiss – no matter his story that she is just visiting her family in another town. And to make matters worse, rumors begin to circulate that Charris never arrived at her destination but mysteriously disappeared off the wagon he had placed her upon. Now, our young blacksmith finds his world fully and completed destroyed, for he loves his wife no matter her infidelity and feels obligated to discover what has happened to her. The journey Joran then sets out upon sees him walk many miles, wearing out three sets of shoes, solving the riddle of three keys, and saving the life of a mysterious wolf named Ruyah. With his new wolf friend in tow, our young hero meets and visits with the Moon, the Sun and the South Wind before eventually traveling to the sea, where his dreams have shown him Charris trapped in a slowly dissolving sandcastle. But while his steps lead him across the world, his quest also lies down another path; a path that lies inward into his very psyche, as Joran is forced to face and resolve emotions that have tormented him his entire life—feelings of estrangement from his family, resentment toward his brothers, anger toward his wife, and despair for his failures. Soon, he begins to see that the truth is a relative thing, easily bent, distorted, and hidden by the espouser of it. Yet, our young hero also discovers that love is the only source of real truth. As stated earlier, this is a well written fairy tale based in an interesting fantasy world with intriguing characters and more than a few moral lessons. And while it can be viewed as a morality play, C.S. Lakin does a wonderful job of delivering an entertaining story along with the Christian theology. As with all allegorical tales, this book would be a great novel to discuss in a book reading group or a reading class, where all of the intricate details of Joran’s world could be shifted through for hidden meanings. Indeed, this is a worthy successor to the works of the great Christian apologist C.S. Lewis. This entry was posted in Fantasy and tagged Bible, C.S. Lewis, christian fantasy, CS Lakin, cs lewis, Fairy tale, G.K. Chesterton, Joran, Moon, morality play, Reading (process), The Gates of Heaven Series. Bookmark the permalink.